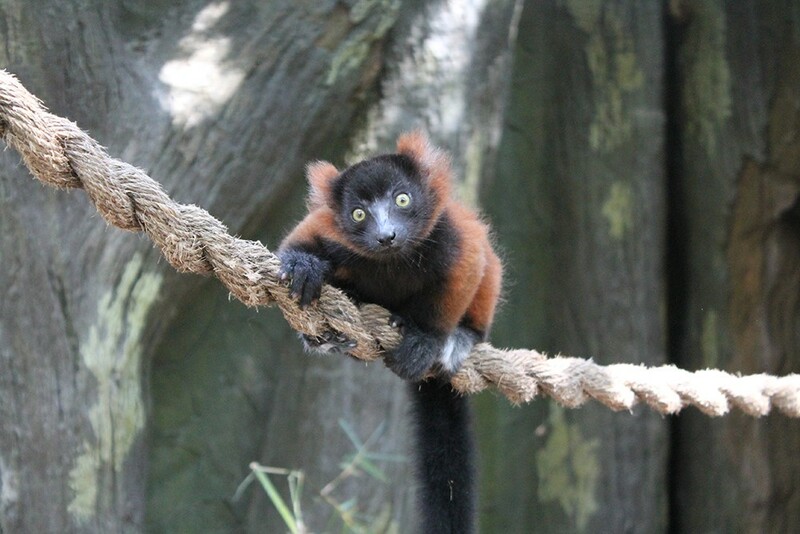 The Central Florida Zoo and Botanical Gardens added another big win to its participation in the AZA Species Survival Plan with the April 30 birth of a red-ruffed lemur. The tiny prehensile-toed primate native to the northeastern forests of Madagascar is critically endangered, hence its inclusion in the Association of Zoos & Aquariums' breeding program. The Zoo has helped add to the species' numbers, preserving their totally adorable little furry faces – er, uh, preserving their unique place in a biodiverse ecosystem – and has also helped breed cotton-top tamarins, prehensile-tailed skinks, hyacinth macaws, one-horned rhinos and clouded leopards in past years. The unnamed baby lemur, with its tiny black face, big round eyes and ginger fur, is available for visits during regular zoo hours, but it seems they will not let you pet him. Boooo.